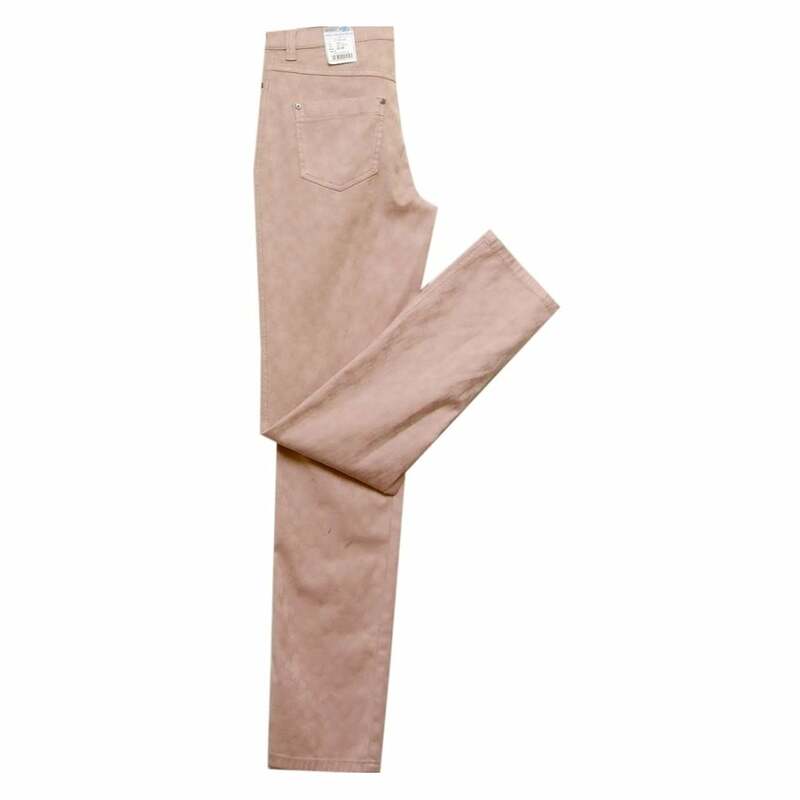 Michele Jeans Magic 8357 1582, Soft Pink, Straight Leg, Slimming Fit. Magic shape forming jean, slims and shapes hips. straight leg, regular length, front stud and zip closure, five pocket, in a soft pink stretch cotton with woven pattern.